It’s a term we hear so often that it can often become commonplace. But what is good customer service? When was the last time you had GREAT, and we’re talking about mind-blowing, WOW-like, GREAT customer service? That’s a question that Zappos often asks in their interview process to potential employees. Because while they might have started as just a small online shoe company, it’s their culture and commitment to WOW customer service that led them to record profits and subsequent acquisition by Amazon. 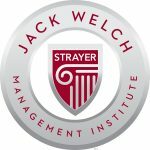 A positive culture and top-tier customer service are core principles within the Jack Welch Management Institute (JWMI) as well. And since Zappos is widely known as one of the most admired brands to immolate for culture and customer service commitment, we asked Zappos Insights’ Speaker of The House, Erica Javellana to join us for a Leadership Live speaker series. And the inside WOW-scoop that she shared with JWMI students, alumni, and guests left us all feeling happy, motivated and ready to create our own WOW. Because, what Zappos has learned, and what they share, is not unlike what our students learn in the online MBA classroom at JWMI. That is that the secrets to creating a strong company culture to improve employee engagement, increase productivity, promote brand loyalty, and enhance financial performance are within our grasp. To do so, you just have to define your company culture and commit to it with a robust set of values that you are willing to hire (and, yes, fire) on. For Zappos, there are 10 values (that conveniently fit on a tee-shirt). But, let’s focus on three of them. This goes back to our original question. When was the last time you had a WOW customer service experience? Which one of the following scenarios would WOW you? The waiter at your local restaurant greeted you at the table and relayed the nightly specials. He was attentive to refilling your water glass and served the meal promptly. Your meal was tasty, and the service was excellent, no problems. You go home satisfied. A terrible storm snowed in your 89-year old father. A terrible storm snowed in your 89-year old father. States away and concerned he wasn’t going to have enough food to last the storm you call multiple food stores trying to find one that will deliver staples. After several unsuccessful attempts, you call Trader Joe’s, who don’t typically deliver but agree to in this instance. Also, they suggest some items that might fit your elderly father’s special low-sodium diet AND at the end of it provide the food and service for free. WOW customer service is more than just doing your job. It’s creating an unexpected surprise that helps to build a personal and emotional connection with your client or customer. We’re pretty sure that Trader Joe’s just gained a customer for life with the example above. If you are customer service agent on the phone, it’s not just doing the transactional work of returning a pair of shoes. Instead, it’s finding insights that help you bond with the person on the other side of the line like if you hear a dog bark in the background, asking about the customer’s pet and the tricks he likes to do. Or, maybe the person on the phone relays that they just broke their arm, that’s an opportunity to send them a get-well card in the mail. Of course, you could always take it to the next level like Zappos in this example: #TravelHappy: JetBlue and Zappos teamed up to bring joy to weary travelers the day before Thanksgiving. Most people like to have fun, and it stands to reason that people make up an organization. So why not create a place where you can have fun at work? We aren’t talking about a huge overhaul and costly interior design venture… not everyone can be Zappos and have gaming systems installed in the elevators, but by making the culture fun, you create a place where employees want to come daily and more importantly give 200%. So whether you bring in a ping-pong table or institute a 3 pm delivery of coffee or snacks every Monday to re-energize the workforce, try to find some way to give employees a place where they want to be. If you can, you are more likely to find that your employees deliver that fun and energy to your customers, in a pay it forward fashion. Of course, at JWMI we love to celebrate and create fun, its one of Jack’s eight principles, and boy do we do it well. We celebrate big wins like growing to 1,800 MBA students and small wins like helping a student build a stellar LinkedIn profile. Our “fun committee” helps to plan staff birthday celebrations (forget the scale, it’s all about the cake! 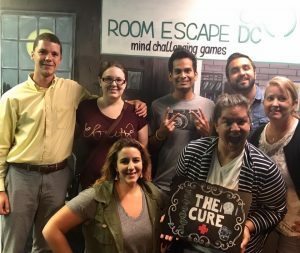 ), competitive Halloween costume contests, small team bonding adventures like marketing’s recent zombie escape room event (thankfully we escaped), and even individual employee recognition awards (with our most recent based on Stranger Things characters). So like Zappos, at JWMI we like to have fun… deliver fun… and act a little weird (did I mention the Stranger Things awards?). Want to work at Zappos? Check the ego at the door. Everyone that starts at Zappos spends three weeks in Customer Service, answering phones and living the WOW customer service culture. Think your title is too big for this job? Think again, if your ego is bigger than the customer service you are offering, there is always an exit. And the commitment to service doesn’t stop there. 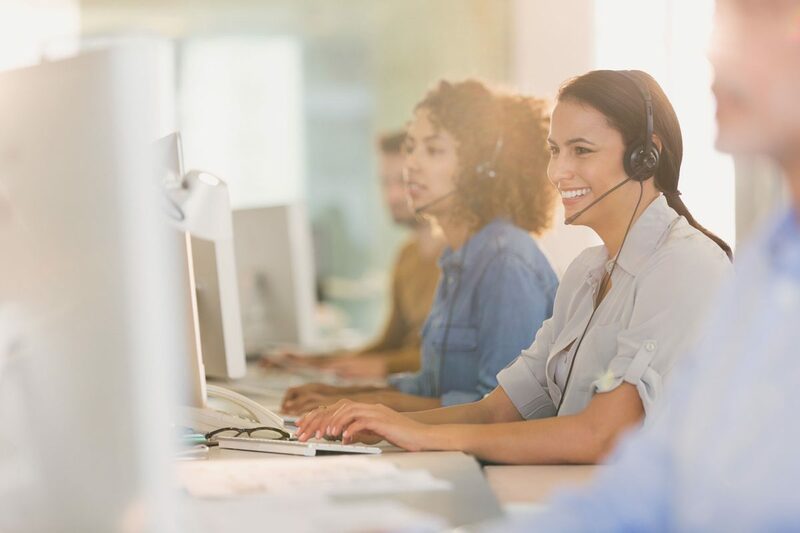 Every year, you are obligated to spend three weeks working in the customer service department showcasing your fun (and weird) customer service talents. Because at the end of the day, no one wants to work with a jerk. Would you like to learn about Zappos’ other seven values? Email us, we’d love to share the entire Leadership Live webinar with you.